It is a “fatal mistake” for the administration to think China, or any other country, would defend Philippine interests, Sen. Francis Pangilinan said on Monday after President Rodrigo Duterte claimed that China had assured him that it would protect the country against external threats. Amid calls for the government to protest China’s deployment of antiship cruise missiles and surface-to-air missile systems on three Philippine-claimed reefs in the Spratly archipelago, the President, speaking in Davao City on Friday, said China had promised to come to the Philippines’ aid anytime. 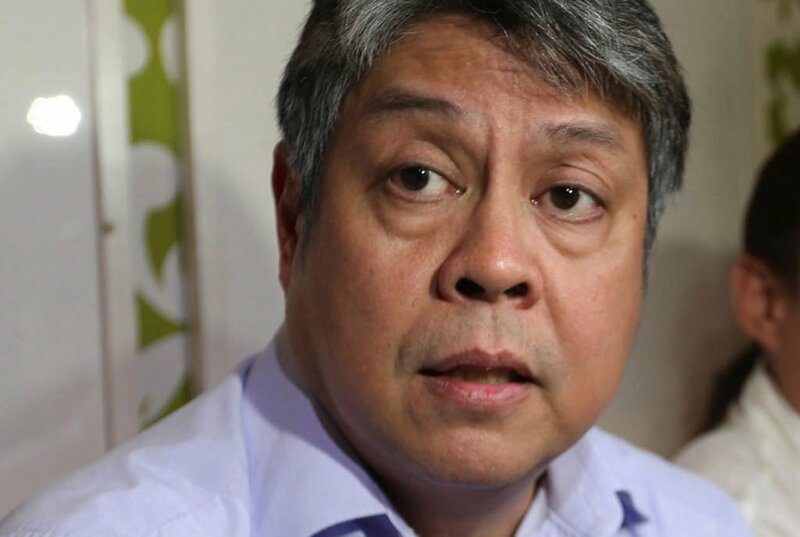 Pangilinan said the Duterte administration should not rely on any country to protect the Philippines’ interests. “We can never expect a foreign power, whether the United States or China or even the European Union, to protect and defend Philippine interests. It would be a fatal mistake and detrimental to our sovereignty to think our interests will be defended by other nations,” the senator said in a text message. Sen. Antonio Trillanes IV, who has filed a resolution for a Senate inquiry into China’s deployment of weapons on Philippine territory, said the President’s pronouncements would dilute whatever action Manila would take concerning Beijing’s deployment of weapons on Kagitingan (international name: Fiery Cross), Zamora (Subi) and Panganiban (Mischief) reefs. Moreover, the President’s words would just spur China to continue its militarization of the strategic waterway, Trillanes said. “Such pronouncements not only weaken our diplomatic position but also embolden China to proceed further,” he added. Trillanes chided the President for doing an about-face on his campaign promise to defend Philippine sovereignty by riding a Jet Ski to the Spratlys and asserting the country’s ownership of islands there. “Instead of protesting China’s militarization of the West Philippine Sea, Duterte has become the lawyer and spokesman of China,” the senator added, using the local name of the waters within the Philippines’ 370-kilometer exclusive economic zone in the South China Sea. The President’s comments contrasted with his spokesperson’s expression of concern on Friday over the missile deployments and the statement of the Department of Foreign Affairs (DFA) that it was considering diplomatic action. Lawmakers have called on the Duterte administration to file a diplomatic protest over the missile deployments. The Senate will open an inquiry into the controversy when it resumes sessions next week. The House special committee on the West Philippine Sea will also schedule a meeting after the resumption of sessions, according to its chair, Quezon City Rep. Sonny Belmonte Jr.
Presidential spokesperson Harry Roque gave assurance on Monday that the DFA was taking steps to deal with China’s latest action in the South China Sea. Trillanes chided Esperon for his remark, saying the national security adviser could ask the country’s allies to share their intelligence reports with the Philippines. “That’s why there is intelligence sharing. If that is Secretary Esperon’s answer, he should look for another job because he lacks initiative,” the senator said. Government officials’ claims that they are still verifying the missile deployments is a “cop-out” to delay action and mislead the people while they do not know yet what to do, he said. “This is alarming because they are supposed to protect the interest of the country,” he added. But Roque said he did not know where the technology would come from, but added that it would be fast enough to verify the missile deployments.